Celebrate Irish history and culture this St. Patrick's Day with DMV events and deals you won't want to miss. Read on for our top picks. On March 17, Fado Irish Pub (808 7th St. NW) will open at 8 a.m. and serve breakfast and pints for early risers. Irish dancers and bag pipers will perform throughout the day, and live music starts at 2 p.m. After noon, you can expect a $10 cover charge. On March 17, from 5 p.m. to close, Logan Tavern (1423 P St. NW) is celebrating the holiday with food and drink specials from 5 p.m. to close. On the menu will be traditional Irish cuisine such as Irish Beef & Beer Stew and Bangers & Mash. There will also be Irish drinks such as Guinness and Jameson. Don't forget to participate in the St. Patty's Day trivia for a chance to win gift card prizes! 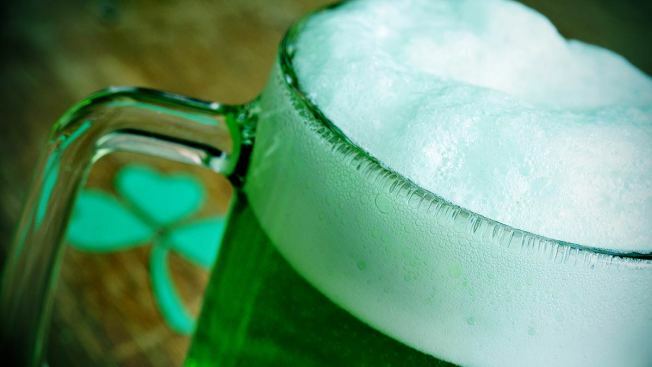 On Saturday, March 19 between 1 and 9 p.m., the Shamrock Crawl in Arlington will feature specials at more than a dozen bars, including Clarendon Ballroom (3185 Wilson Blvd. ), Mad Rose Tavern (3100 Clarendon Blvd. ), Liberty Tavern (3195 Wilson Blvd. ), Whitlow's on Wilson (2854 Wilson Blvd.) and Mister Days (3100 Clarendon Blvd.). There will be costume prizes for those in the best St. Patrick's-themed costumes. Tickets are available online here for $20, or or at the door for $30. Register on the day of the event at Clarendon Ballroom, Clarendon Grill or Mad Rose between 1 p.m. and 4:30 p.m. to pick up your wristband and mug. Traditional Irish music group the Alan Kelly Gang will perform at the Barns at Wolf Trap (1635 Trap Road, Vienna, Virginia) on March 17 at 8 p.m. Green beer will be available! Tickets are $25-$27 and are available online here. Looking for a more classical way to celebrate St. Patrick's Day? An Irish flute and pennywhistle show might be right up your alley! The show will take place March 20 at 4 p.m. at the Kennedy Center for Performing Arts (2700 F St. NW). Ticket prices range from $45-$100 and are available online here. TIP: SoberRide will provide free taxis (up to a $30 fare) from 4 p.m. on March 17 to 4 a.m. the next day to provide a safe ride for those under the influence on this holiday. Go here for more information or call 800-200-TAXI (8284) for a ride.